Sonos is committed to keep improving the home listening experience. Enhancements and changes included in the latest free software update are listed below. Trueplay makes your Sonos speaker smarter, more aware and more responsive. It uses your iPhone, iPad, or iPod touch to measure how sound reflects off walls, furnishings and other surfaces in any given space. Then it adjusts the speaker, as much or as little as needed, to produce sound that’s true to the music and right for the room. Trueplay tuning works with the Play:1, Play:3, Play:5 (gen 1) and the all new Play:5 (gen 2). 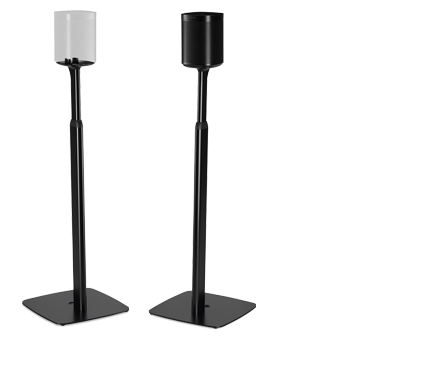 Trueplay is compatible with single speakers or with two speakers configured as a stereo pair. Trueplay also supports these configurations with a Sub added. Note: If your device has a case that covers the microphone, such as a LifeProofTM or OtterBox® case, it must be removed before performing Trueplay tuning. While Trueplay tuning is only available for iOS devices, if a speaker in your household has been calibrated, all controllers, including the Sonos App for Android and the Sonos App for Mac or PC, can toggle the calibration on and off through the settings for that room. The all-new Play:5® is the ultimate smart speaker for today’s streaming universe—powerfully smart, fine-tuning its sound to bring you all the energy and emotion the artist packed into the original recording. 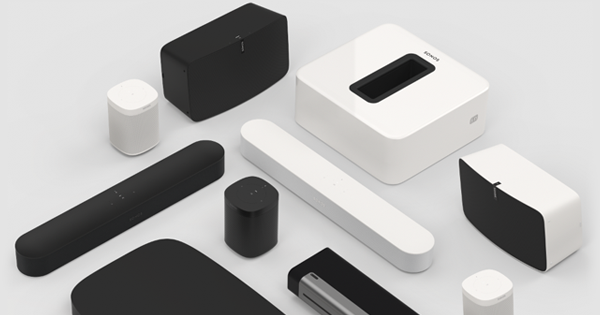 Hardware and software is custom-designed by Sonos to produce pure, immersive sound that’s crystal clear at any volume. It’s powered by 3 tweeters and 3 mid-woofers, each with a dedicated amplifier, perfectly tuned to match the speakers and acoustic architecture. The new Play:5 supports Wireless Accessory Configuration (WAC) for simpler set-up over WiFi using iOS 7 and higher. Note: Not all iOS devices support WAC. The all-new Play:5 will be available on November 20 in the U.S. and on November 25 worldwide. 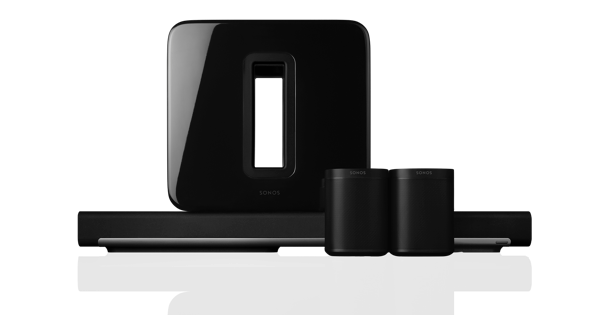 Sonos now supports HTTP Live Streaming (HLS) audio format. Unlike other formats, the HLS standard involves multiple configurations on a station by station basis. Therefore, this release will allow you to listen to many, but not all HLS stations. Streaming of on-demand HLS content is not yet supported. You can now choose to play a single track in the queue repeatedly, so as soon as the current track finishes playing, it begins again. Simply select to activate the repeat control and then select again to activate repeat single track mode. The button indicates that repeat single track mode is active. Reduced power consumption for your Playbar if not attached to a Sub or rear speakers. Before upgrading your Sonos app to version 6.0, update your iOS device to iOS 7 or higher so you will have access to all features of the Sonos app on your phone or tablet. NOTE: The iPhone 3GS and iPod touch (4th Generation) are not able to upgrade to iOS7 and therefore will experience the limited functionality described above. More recent devices such as iPhone 4 through iPhone 6 and iPod touch (5th Generation or later) can update to iOS7 or higher. They will be fully functional when running iOS7 and Sonos version 6.0. With this release, the Audible audiobook service is no longer supported on Sonos.